It all began during the long hot summer of 1981. In June of that year a small group of villagers discussed the idea that they should stage a pantomime in the winter months. Plans were made, a script obtained and a few extra people coerced into taking part. A date was set, January 1982 and the venue was to be the village Reading Room. Jack and the Beanstalk was to be the production. The stage was a series of wooden blocks borrowed from Barnwell Primary School and the dressing room was the ladies toilet, a room approx 4 square metres with one cubicle, one hand basin and 3 hooks for hanging coats. Into that were crammed four large men, four ladies and 4 children not to mention dressers and make up people. A good job that health and safety hadn’t been invented then! Everything was ready and the two performances went ahead on the 22nd and 23rd January 1982, to much acclaim. 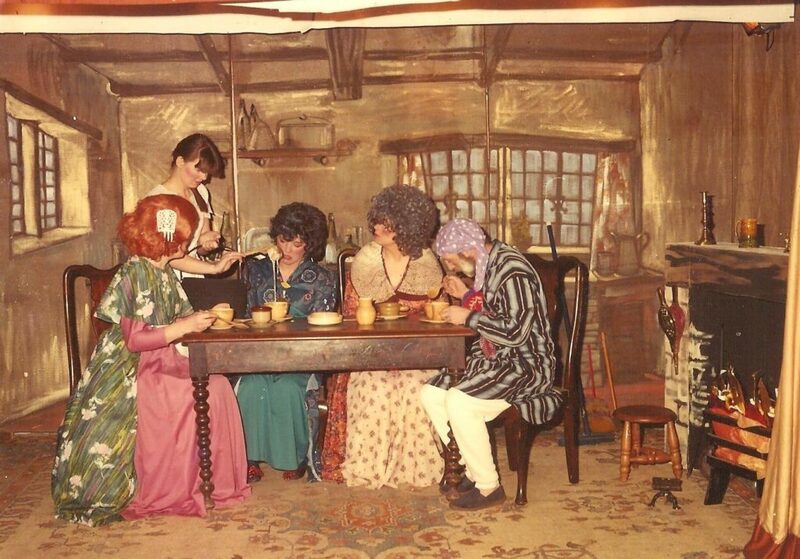 It was the talk of the village for weeks, so much so that it was decided to put on another pantomime the following year; “Puss in Boots” was a much bigger production running for 4 sell out performances. By now there was the relative luxury of a drafty wooden shed to change in. Encouraged by early success the group were now open to the challenge of a more serious production and what better than “Tomb with a view”? A comedy thriller (with no less than 8 murders) was closely followed by another pantomime and a rather risqué farce, “The continental quilt”. Plays became the priority interspersed with light- hearted evenings of entertainment, produced mainly to raise monies for local good causes. 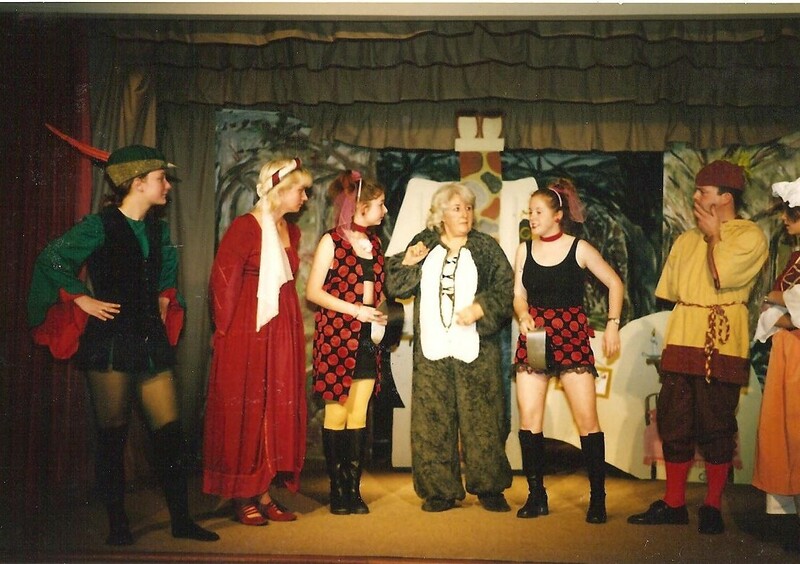 In the early 90’s the new village hall opened, and more plays were staged including “No time for fig leaves” a play in which women ruled the world. More recent productions have included “Ladies Day”, “Ten Times Table” and the 2017 comedy “Write about what you Know” which gave the Entertainers their biggest audiences yet.